Did you already use the Places feature in Photoxor C1 Toolkit, and find out which places of interest are currently closest to you? Now the toolkit together with Google navigation guides the way, too! Look out for the new 'direction' icon. 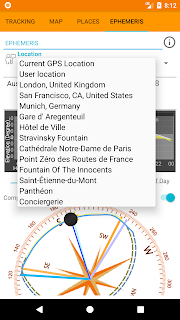 It is available on the Places screen once the list of places is loaded from a KML/KMZ file, and also when you click place markers on the Map screen. It brings up the the Google navigation to guide you from your current location to the place selected. A great feature when you travel and explore new photo locations! Use tools such as Google Earth or Google Map to mark your favourite locations. Export them as KML or KMZ file. 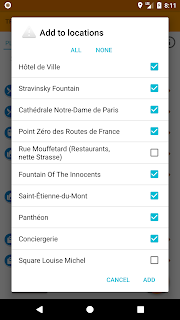 KMZ files are able to embed the icons associated with a place, and therefore can be loaded even without an Internet connection. Copy the KML / KMZ file into the chosen places folder on your device. 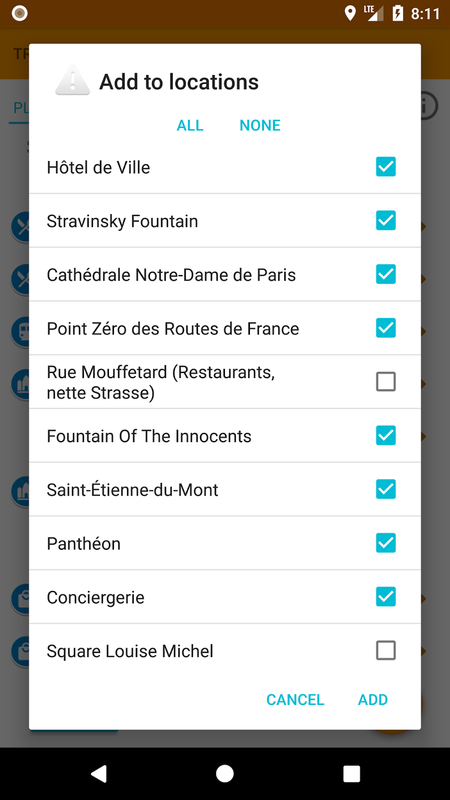 The places folder is defined in Settings, Location Tracking ... as Select Places folder. You might want to leave the default folder location, or assign another folder. Alternatively use a Cloud drive (such as Google Drive) to store the KML / KMZ locations file.Open / Share it to Photoxor C1 Toolkit. This will directly load the places list and present on map. If you use the Share function, then just go the Photoxor C1 Toolkit Places screen and the list of location is available already. Otherwise please press the orange button on the right bottom corner and select the file to load. This is a great feature when you travel. 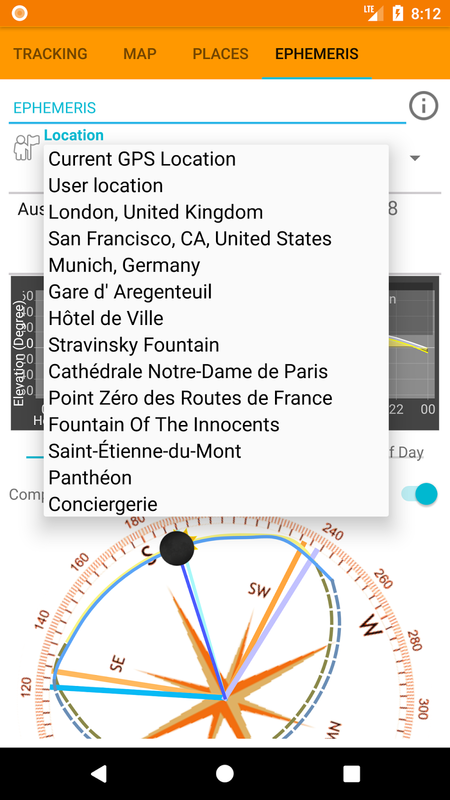 Sort the list of places by distance from your current location. The closest places are shown on top of your list. And the list is updated as you move. At home you researched and collected an extensive list of places to visit. Now on the road this feature helps to find what's in close proximity. On the Places screen tap on one of the lines to show that place on the Map. Tap the 'On Map' button to show all of the places on the Map. The new Direction button brings up the Google navigation to find your way from your current location to the selected place. Another new feature. Once a list of places is loaded, on the Places screen your are now able to add all or a selection of places to the Photoxor C1 Toolkit locations list. These locations can then be used in the location selection on the Ephemeris screen. Have a go and try out the new features. And please let us know if it is useful, but also any ideas how we could improve. If you find something not working, please let us know as well; we are keen to fix it! !